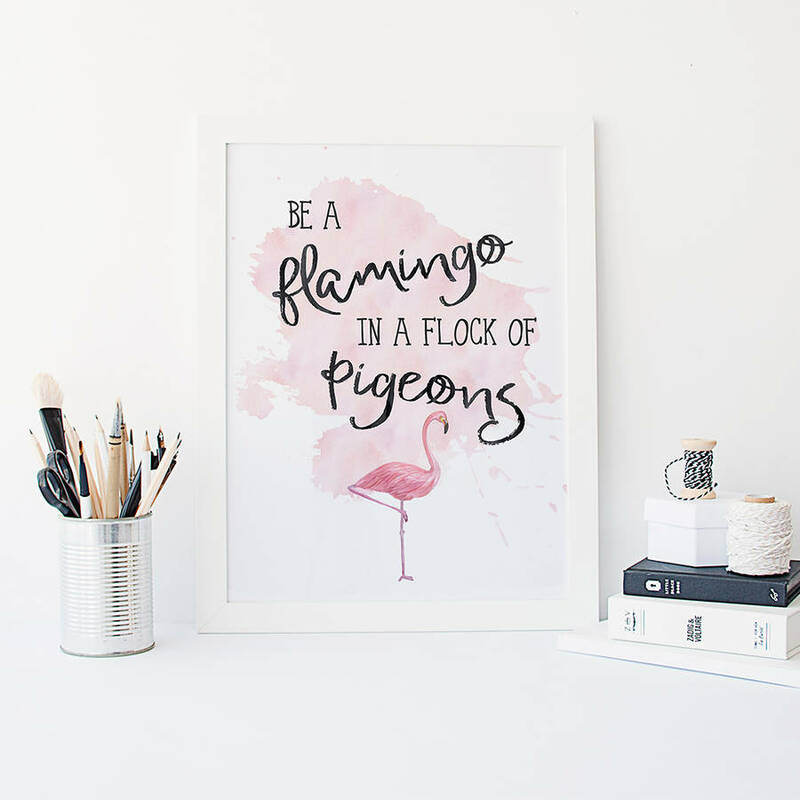 "Be a flamingo in a flock of pigeons" typographic art print. 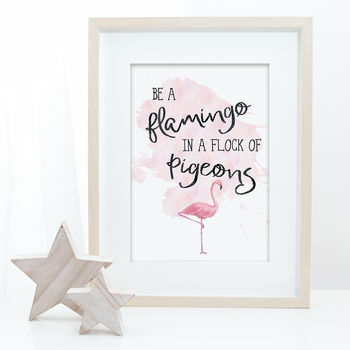 Add some fun to your walls with this on-trend print in a beautiful pink, wtercolour effect colour scheme. 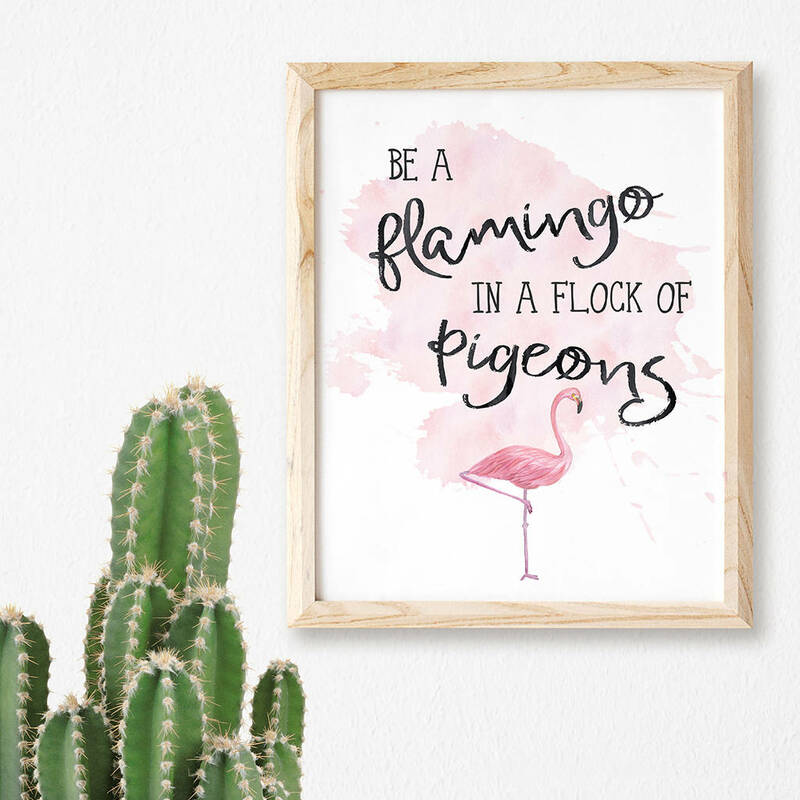 The perfect quirky, finishing touch for the home. 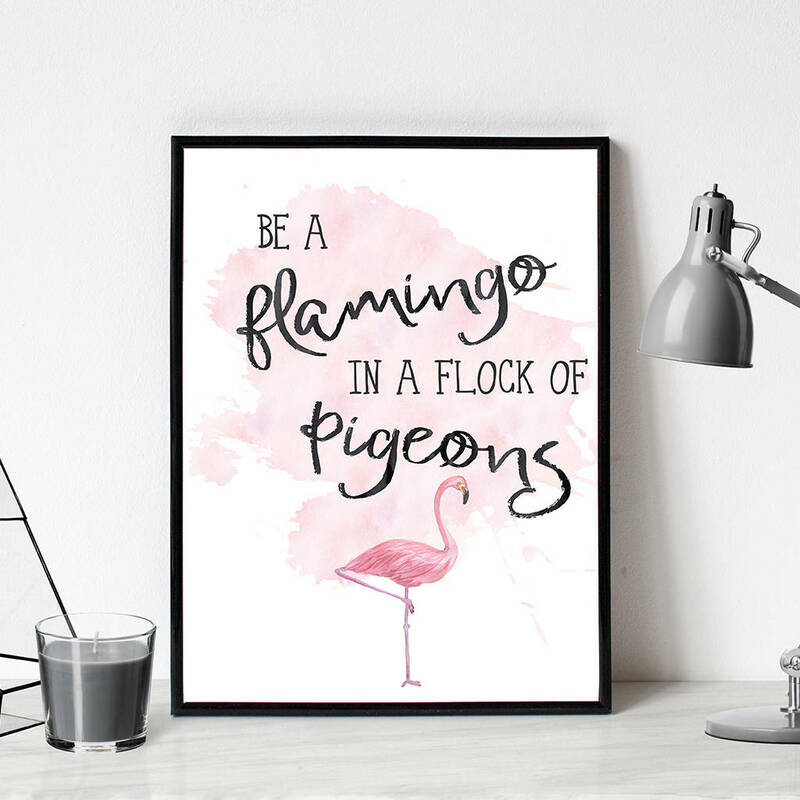 It would also make a fantastic print for a child's room or a piece of motivational office art, to remind yourself how amazing it is just to be you. 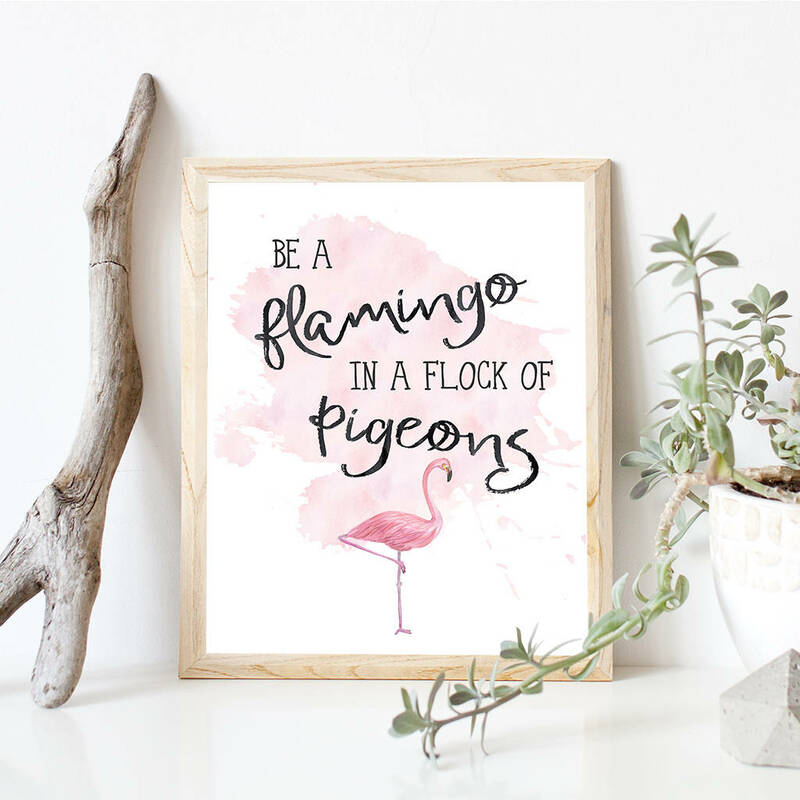 Be awesome, like a flamingo! Prints are sold unframed, but for a ready to frame mounted print, simply select the 'Mounted A4' print option - this is mounted in an 11 x 14 soft white acid free mount designed to fit an 11 x 14 (28cm x 35cm) frame. 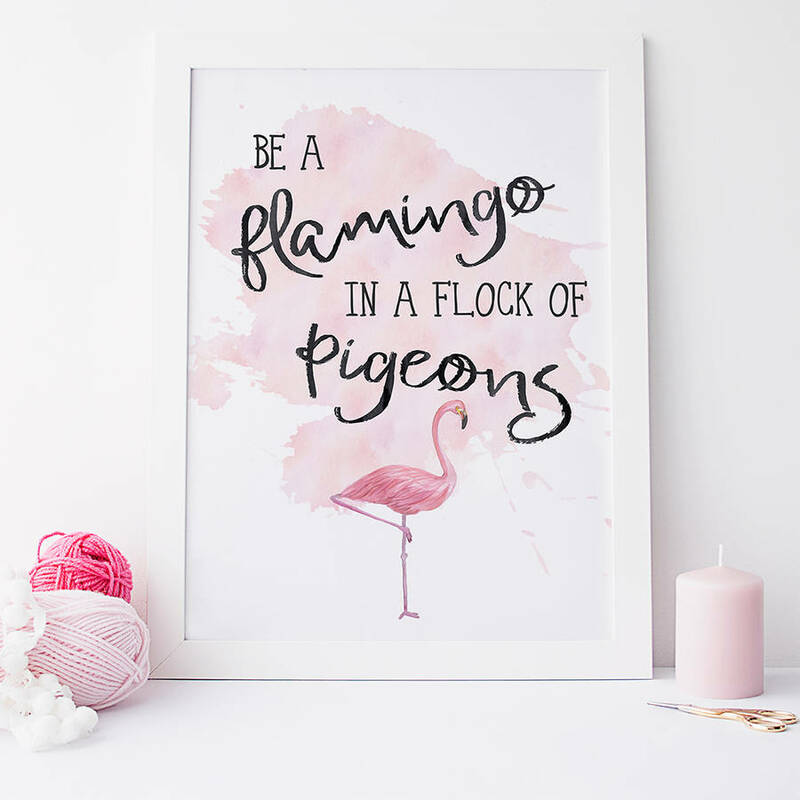 This is a good option if you are buying the print as a gift as it adds a lovely finishing touch to the print and the recipient can frame in their own choice of frame. 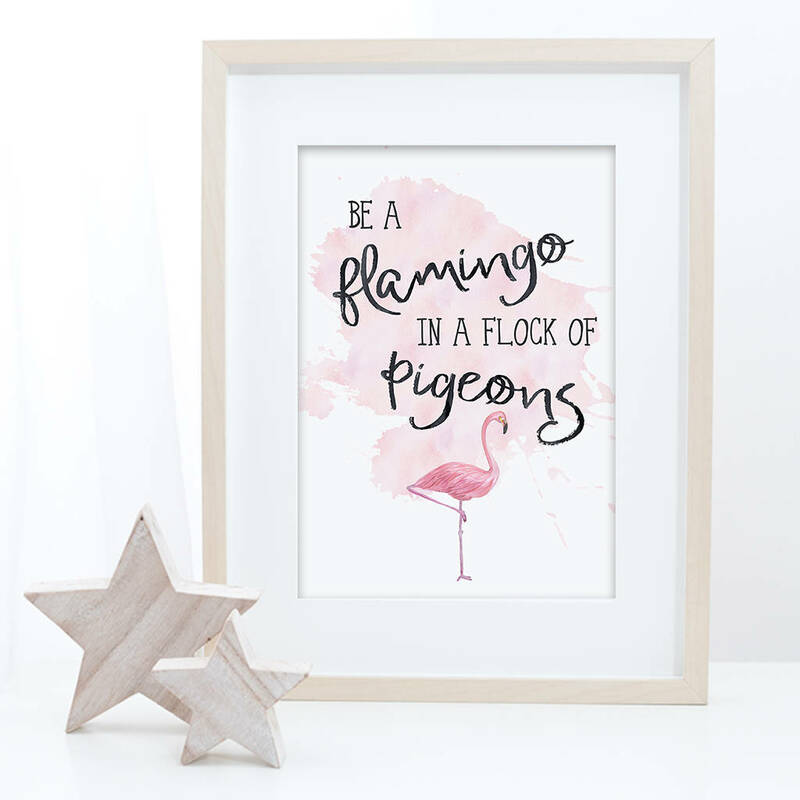 For affordable frames, try the Ikea 'Ribba' frame, available in sizes to match all of our prints. Designed to fit standard off the shelf frames. Please note that picture frame and props are not included. Available in 4 different print sizes. 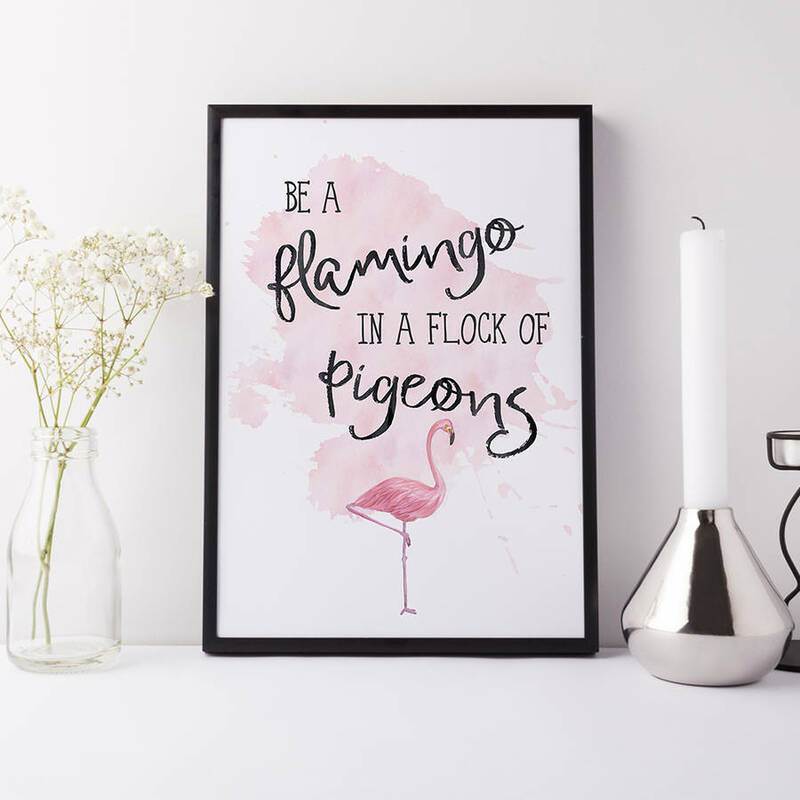 Our prints are all designed and printed in house to order on 270gsm fine art paper, using high quality archival inks to prevent fading over time. This product is dispatched to you by Beau Typographie.